According to the Sun, Celtic are set to battle it out with Old Firm rivals Rangers for the signature of Hearts forward Uche Ikpeazu in the summer, with Premier League strugglers Cardiff City and Championship outfit Hull City also keen on securing his services. The same report claims that Ikpeazu has a contract at his current which runs until 2022 and Hearts are expected to demand a fee of £1million to part ways with their prized asset. 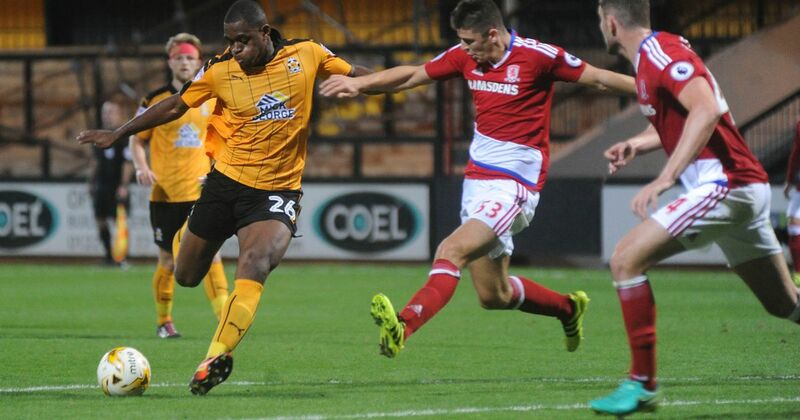 A product of Reading’s youth system, Ikpeazu joined Watford in 2013 but he failed to make the grade at Vicarage Road, spending time on loan at lower division clubs like Crewe Alexandra, Port Vale, Doncaster Rovers and Blackpool before joining Cambridge United on a permanent deal in 2016. The Harrow-born striker scored 22 goals in 80 appearances for Cambridge before joining Hearts on a free transfer last summer. 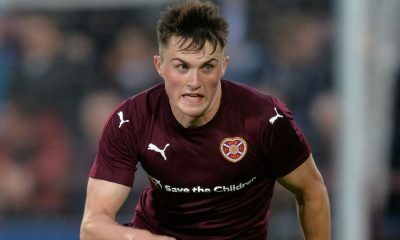 The 24-year-old has managed to replicate his wonderful form in the English fourth tier across the border in the Scottish Premiership, contributing with 5 goals and 4 assists from 19 appearances in all competitions. He has struggled with a foot injury in his debut season in Scotland but has already attracted attention from the big guns. Meanwhile, Celtic managed to get the better of archrivals Rangers 2-1 in the Old Firm derby, which was sweet revenge after losing out 1-0 to the Gers back in December. It has been a successful season for the Hoops but they would need to dip into the transfer window in the summer in a bid to reshape their squad. While replacements for the centre-back duo of Dedryck Boyata and Filip Benkovic and right-back Mikael Lustig remain high on Celtic’s wishlist for the summer, the Hoops should also look to add a few fresh faces to bolster their attack. Oliver Burke and Timothy Weah are only on loan from West Brom and PSG and acquiring the services of either of them permanently apparently seems to be beyond Celtic’s financial capability. 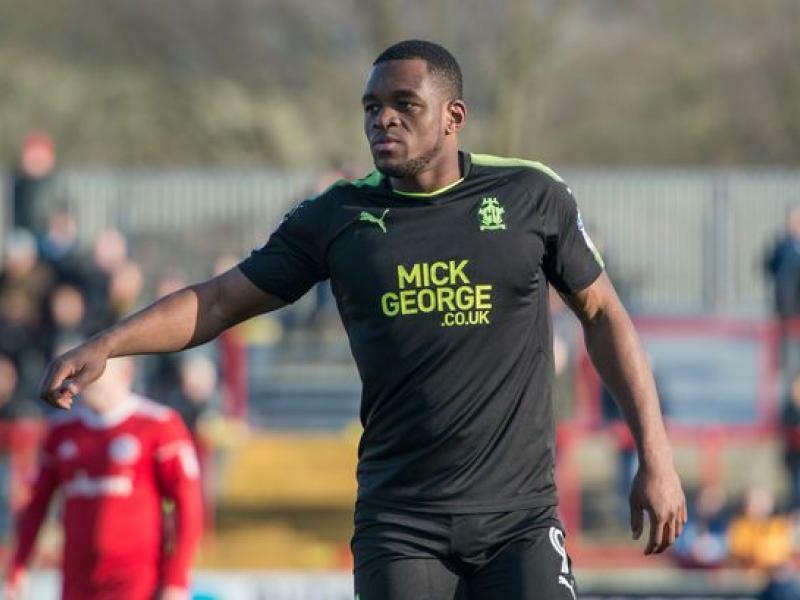 To put things into perspective, s strong and powerful striker like Uche Ikpeazu wouldn’t be a bad option for Lennon to provide cover and competition for Odsonne Edouard up front. Leigh Griffiths has been out of the picture since December while January signing Vakoun Issouf Bayo is set to establish himself in the first-team scheme of things. Standing at 6ft.3 inches with a burly and well-built frame, Ikpeazu is a powerful centre-forward whose key attributes are his strength and aerial ability. He has the ability to outmuscle his defensive counterparts with his physicality and power, whilst his aerial prowess makes him a potent threat inside the box from crosses and set-pieces. He is quite fast and agile for a striker of his stature and has a knack of getting into the right areas to put away chances. Furthermore, the 24-year-old often uses his strength to shield the ball with his back to goal, allowing others to get into the game with good hold-up play. 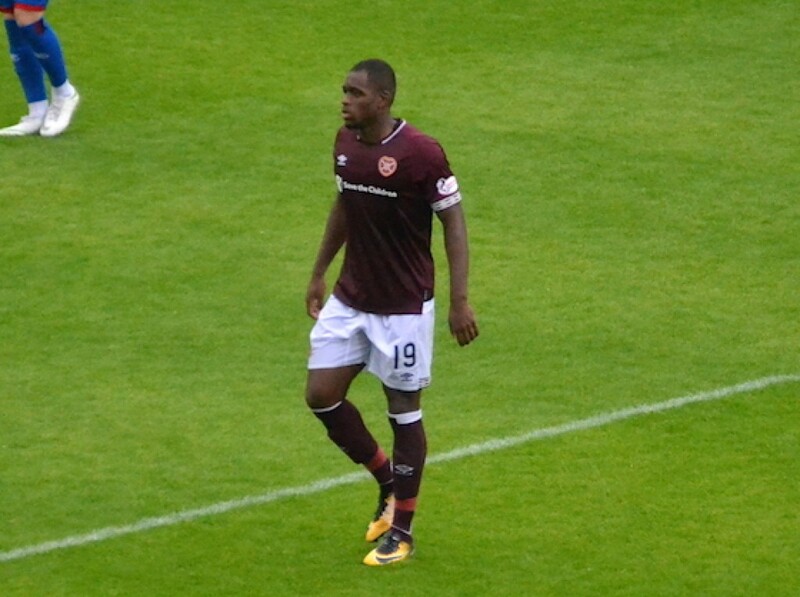 Ikpeazu is still untested at the highest level but his successful debut season at Hearts should prompt the Hoops to lure him to Parkhead in the summer. Celtic should still be aiming for better players to make an impact in Europe but Uche Ikpeazu can prove to be a useful back up for Odsonne Edouard next season. According to The Scottish Sun, Fulham have shortlisted Celtic manager Neil Lennon as a potential candidate to take up the job at Craven Cottage on a permanent basis at the end of the season. The Cottagers are set for a season in the Championship next term after getting relegated from the Premier League and Fulham are considering the possibility of appointing the former Northern Irish international as the new full-time manager in the summer. Scott Parker is currently in charge on a temporary basis at Craven Cottage following the dismissal of Claudio Ranieri but the club hierarchy believe that he hasn’t done anything significant to convince them to retain him at the helm of affairs beyond the end of the current season. 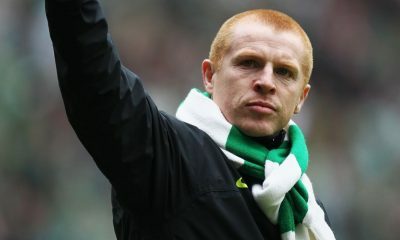 Lennon, on the other hand, took over as the interim manager at Parkhead last month following the departure of Brendan Rodgers to Leicester City. Rodgers left Celtic in a strong position to win the Scottish Premiership title and the 47-year-old former club legend has ensured that the Hoops cruise to the domestic title. The Scottish Sun also reports that Lennon is in pole position to land the permanent job at Celtic after guiding the team to a series of impressive results in recent weeks and he would only consider a position at another club should the Hoops refuse to keep him at the club for the foreseeable future. 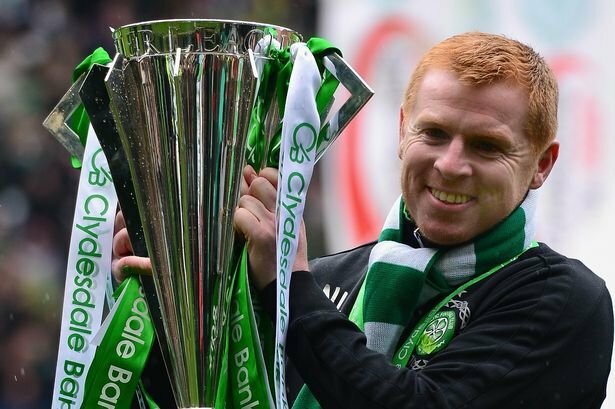 Lennon enjoyed a trophy-laden spell at Parkhead as a player and emulated that feat as a manager earlier in his career when he guided the Hoops to 3 consecutive Scottish Premiership titles and 2 Scottish Cup triumphs between 2010 and 2014. His only previous managerial experience in England came in the Championship at Bolton Wanderers between 2014 to 2016, though his time at the Reebok Stadium was blighted by off-the-field controversies. 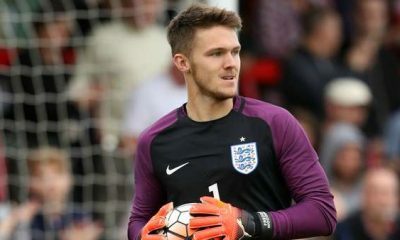 He left Bolton on mutual consent following a series of unimpressive results and returned to Scotland with Hibernian where he won the 2016-17 Scottish Championship. To put things into perspective, Fulham should not have any second thoughts about replacing Parker with Neil Lennon. 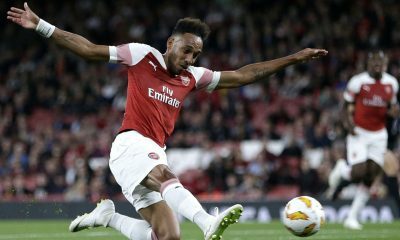 The 47-year-old can bring that winning mentality back to Craven Cottage after a disastrous season in the Premier League and he certainly has all that it takes to guide the west London outfit back to the top flight in the very first chance. During his first spell at Parkhead as a manager, Lennon made a name for himself with his brave decision-making and tactical flexibility, completing a complete overhaul of Celtic’s squad in the summer of 2010. The Northern Irishman sold plenty of experienced players like Artur Boruc and Aiden McGeady and brought in several talented, cheap and little-known players like Beram Kayal, Emilio Izaguirre, Gary Hooper, Daniel Majstorovic and many others to the club, most of whom went on to enjoy a successful spell at Parkhead. Lennon likes to target free-agents and bargain deals in the transfer market, which is exactly the kind of approach Fulham need to adopt in the summer. It is not very often that a club gets relegated after spending close to a 100 million but Fulham have managed to do so. 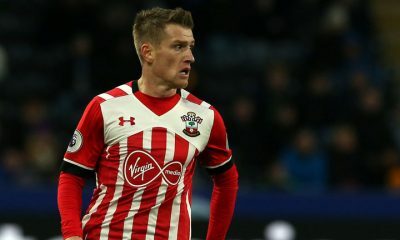 Aleksandar Mitrovic, Jean Michael Seri, Calum Chambers, Tom Cairney, Andre Schurrle, Ryan Sessegnon and Luciano Vietto are all expected to leave the club after getting relegated and Lennon’s presence at the helm of affairs would help Fulham deal with such a major clear-out of players. Moreover, he knows how to extract the best out of the existing players at the club, while also having a good reputation of being able to bring up talented players from the academy. The 47-year-old certainly has the acumen and the charisma to stabilize things at Craven Cottage and get the club back to the top flight in the first time of asking. 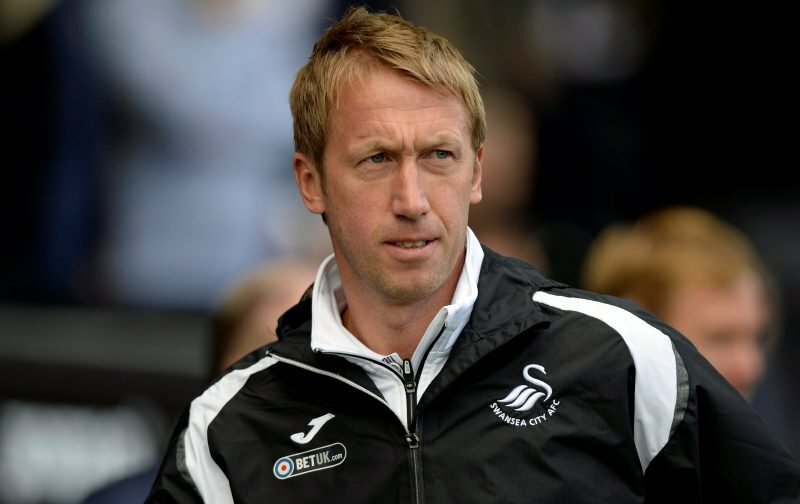 Celtic Opinion: Graham Potter shortlisted by the Hoops- a wise move? 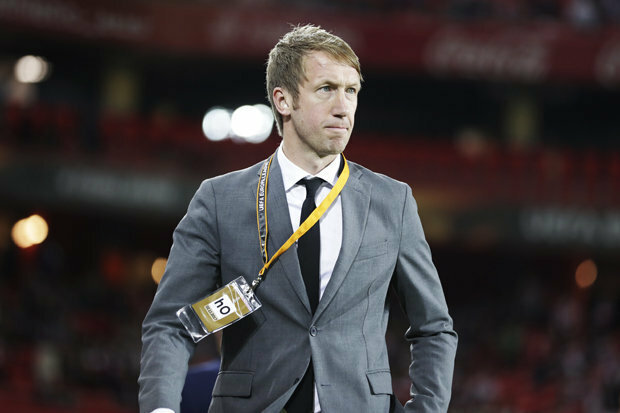 According to Wales Online, Swansea City manager Graham Potter has emerged as a shock candidate to take over the job at Celtic on a permanent basis at the end of the season. The Scottish Sun reports that the 43-year-old has his name amongst the long list of potential candidates drawn up by Celtic, as the hierarchy aims to find a long-term successor to the throne of Brendan Rodgers, who left for Leicester City last month. The same report claims that interim manager and club legend Neil Lennon is in pole position to land the job on a permanent basis but Celtic are keeping their options open to make sure that they appoint the right person. Lennon spent seven years as a player at Parkhead before enjoying a four-year stint as the manager from 2010-14. It would be of little surprise if Celtic do appoint Lennon as the permanent manager as he has done pretty well since taking charge on a temporary basis following Rodgers’ departure and has ensured that the Bhoys cruise to the domestic title. 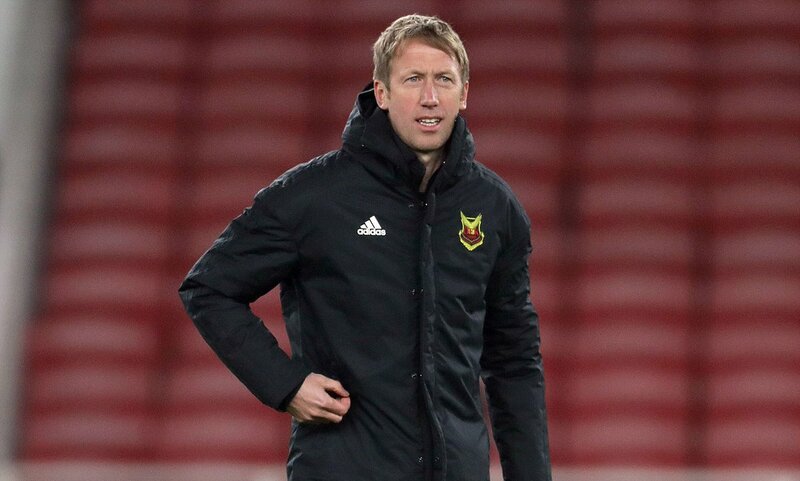 However, Celtic’s interest in Graham Potter should please the fans at Parkhead as it is a clear indication that the club are seeking a long-term replacement. Potter has impressed since taking charge of Swansea City last summer following their relegation from the Premier League, working with a tight budget and guiding the club to 13th in the Championship in his first season as a manager in English football. Swansea haven’t been able to mount a significant challenge for immediate promotion back to the Premier League but few would argue that Potter has been instrumental in transforming their fortunes as a part of a long-term project. It has been quite apparent from Swansea’s style of play and their approach in the transfer market that want to get back to the Premier League but they want to carve out an identity for themselves as well. The Swans, under Potter, have looked impressive at times and have earned plaudits for their possession-based attractive football, which involves building the play from the back. 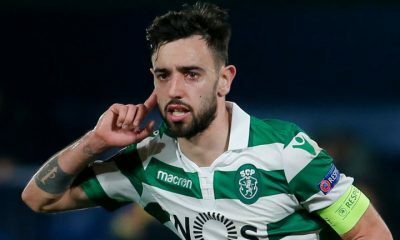 To add to that, Potter has done a tremendous job in bringing up young talents like Daniel James and Conor Roberts at Swansea, which is another thing that Celtic must consider. 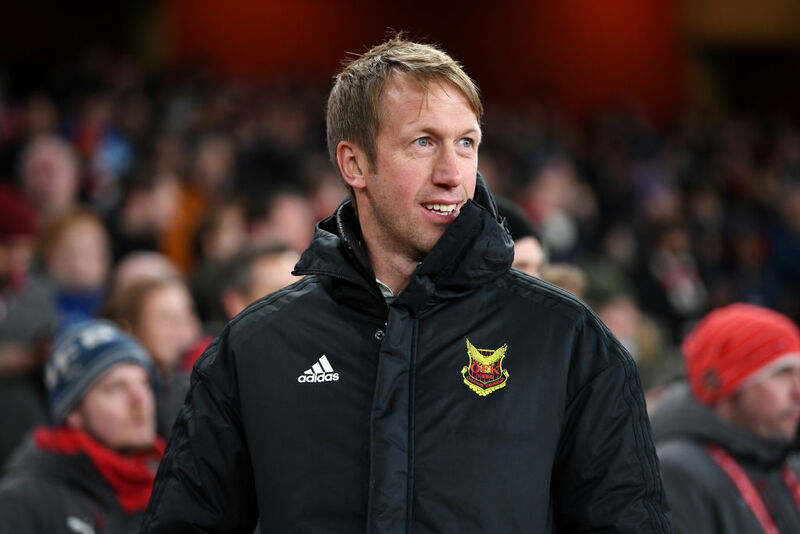 Potter earned rave reviews for his tactical intelligence and flexible approach back in his earlier managerial days at Ostersund in Sweden, helping the club secure promotion from the second tier and eventually make a name for themselves in the top flight. It was under his stewardship that Ostersund made it to the Europa League group stages for the first time in their history and his stocks rose even higher when the club beat Arsenal 2-1 at the Emirates in the Round of 32 of the 2017-18 Europa League. Regarded as a modern-day manager who believes in a dynamic approach to the game, Potter not only brings in new ideas but he knows to how implement them as well. Known for his flexibility, the 43-year-old is never afraid to experiment with his team dynamics and often tends to play different systems over the course of the ninety minutes to keep the opposition on their toes. Moreover, his free-flowing possession-based attractive football is sure to endear him to the hearts of the fans at Parkhead. Despite Celtic’s interest in Potter, it would be foolish for Swansea to let him go and it remains to be seen whether he throws away the chance to climb up the ladder as a manager in English football. However, managing a team with European ambitions should appeal to the 43-year-old and a move to Celtic would offer him a better chance of making a big reputation for himself in Europe. That said, Graham Potter would be an ideal choice if Celtic are indeed planning for the long-term. They have stamped their authority in the domestic league in recent years but Potter’s intelligence and acumen might help them make an impression in the European competitions as well. 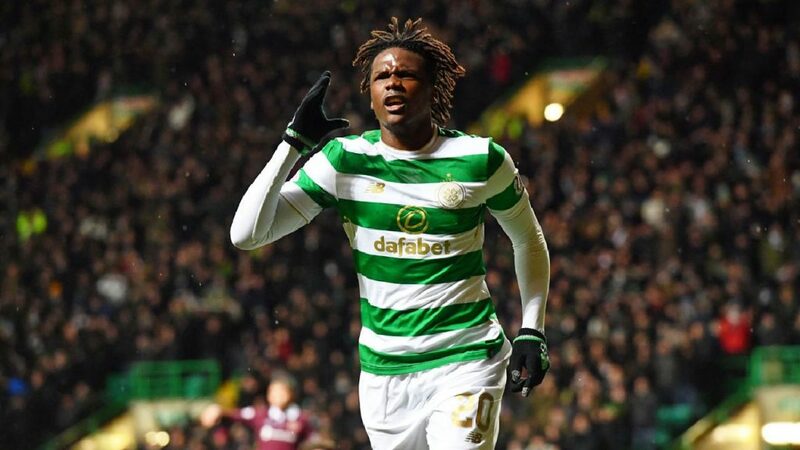 According to a report from the Daily Record, Celtic defender Dedryck Boyata revealed last year that in his early 20s he was wanted by Everton, and that he now regrets rejecting the club’s approach. After failing to make the grade at Manchester City, where he came through the youth ranks, the Belgian defender joined Celtic in 2015. The 28-year-old has been a solid performer over the last couple of years for the Hoops, helping the club to the double treble last season under former manager Brendan Rodgers. But Dedryck Boyata wanted to leave Celtic in the summer, however, Celtic remained reluctant in selling him and also rejected a £9m bid from Fulham. 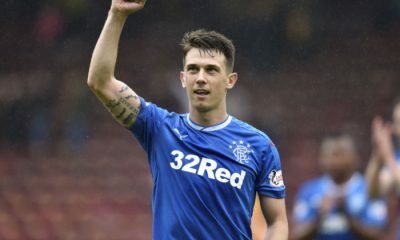 As things stand, he is out of contract this summer, and looks set to leave the club having shown no desire to sign a new contract at Parkhead. Having picked up a hamstring injury against Rangers last weekend, Boyata’s season – and his time with Celtic – may well be over. 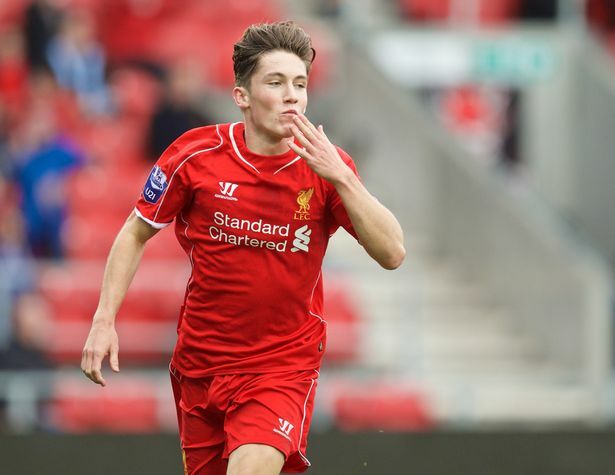 That being said, should Everton reignite their interest in the Belgian defender? Without a shadow of doubt, yes! Everton haven’t been utterly convincing defensively this season, despite Michael Keane and Kurt Zouma forming a strong partnership at the back. They have conceded 42 goals in 32 games, which is poor considering the Merseyside outfit are challenging for a place in Europe. Also, Everton are very likely to witness a couple of departures at the end of the season. Phil Jagielka is out of contract in the summer and is likely to leave, whereas Zouma will return back to his parent club Chelsea. Yerry Mina needs some time to adapt fully to the Premier League, which leaves Silva with only one recognised central defender in Michael Keane. That’s enough to suggest why the Toffees need defensive reinforcements ahead of the 2019/20 campaign and Silva should snap up Boyata on a free transfer. Boyata did fail to make at Manchester City but he has gained volumes of experience in the Scottish Premiership and now is in the prime of his career. He is physically strong, robust and aerially adept in winning aerial duels. The 28-year-old is comfortable with the ball at his feet and can launch attacks from the back, something which Silva wants from his defenders. The Belgian international is a bit reckless when it comes to tackling but generally doesn’t dives into challenges. Due to his frame and strength, he is also a threat from set-pieces. All in all, Boyata is a quality defender, who, in all probability, would enhance the standard of Everton defending. With Zouma set to return back Chelsea, he could be the ideal partner for Keane. And on a free transfer, the ex-Manchester City starlet’s signing would represent a massive coup for Silva and company.